Wearing the kilt is a Celtic tradition, crack for our different tartans! The size is adjustable thanks to the 2 black belts at the back and it is woven 100% wool quality. The Black Stewart tartan is a mix between the Royal Stewart and the Blackwatch. 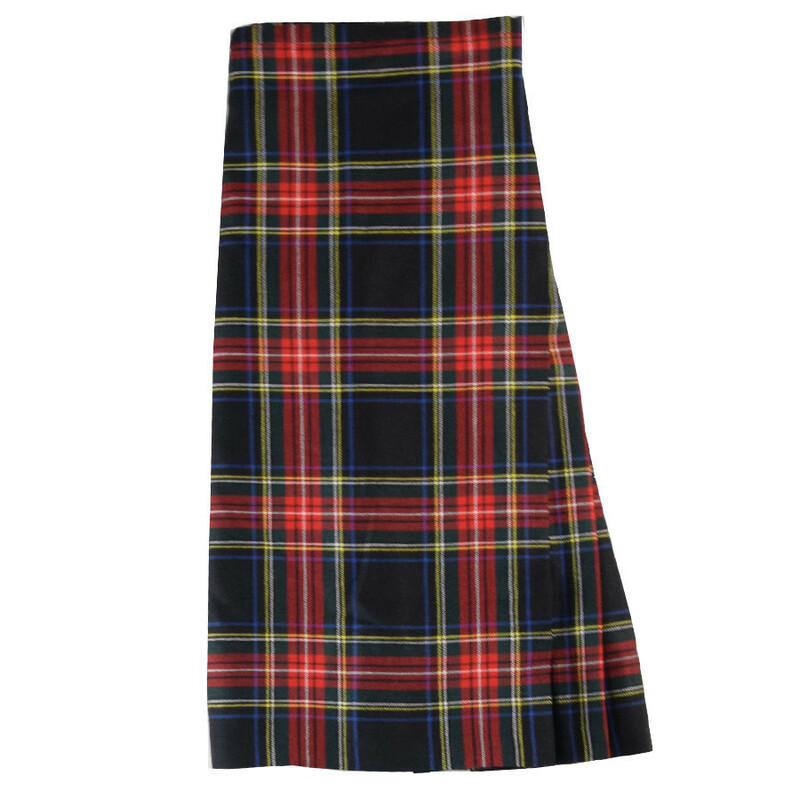 The kilt is to be worn with black shoes, high socks and flashes and may be accompanied by a white t-shirt. For a more dressy outfit, you can put a white shirt with a tweed jacket. This article is a special order. Sizes may still be available in our shops or delivered within 3 months by our supplier. Contact our Customer Service 02 98 85 47 37. Please specify the French size when ordering. O'Neil of Dublin is located in Copper Alley, the historic heart of Dublin's Old City and has been manufacturing clothing since 1959. Copper Alley dates from the 16th century and was mainly occupied by tailors producing quality clothing for the gentry of Dublin. Today, O'Neil of Dublin are continuing this proud tradition producing high quality garments which are now sold world wide. The O'Neil of Dublin brand has become synonymous with classic tartan kilts and the collection provides variety, flexibility and commitment to customer care in providing quality products at competitive prices.